EVERGREEN, Colo. - Feb. 21, 2019 - PRLog -- Super Seer Corporation, a Colorado-based American manufacturer of law enforcement products including riot, corrections, motorcycle, mounted, general duty helmets and accessories, this week announced they have released their latest riot helmet, 100% made right here in the U.S.
Now carrying the Seer S1621 riot helmet, Super Seer proudly used only American components and sub components in the manufacturing of the product, earning it a Berry Amendment Compliant label. "When we set out to create the Seer S1621 riot helmet, it was important to make the helmet using Berry Amendment Compliant products, ensuring that every component and subcomponent used to create our helmets are sourced right here in the U.S.," said Steve Smith, President of Super Seer Corporation. "We want to benefit other American producers while investing our time and energy back into our American communities." 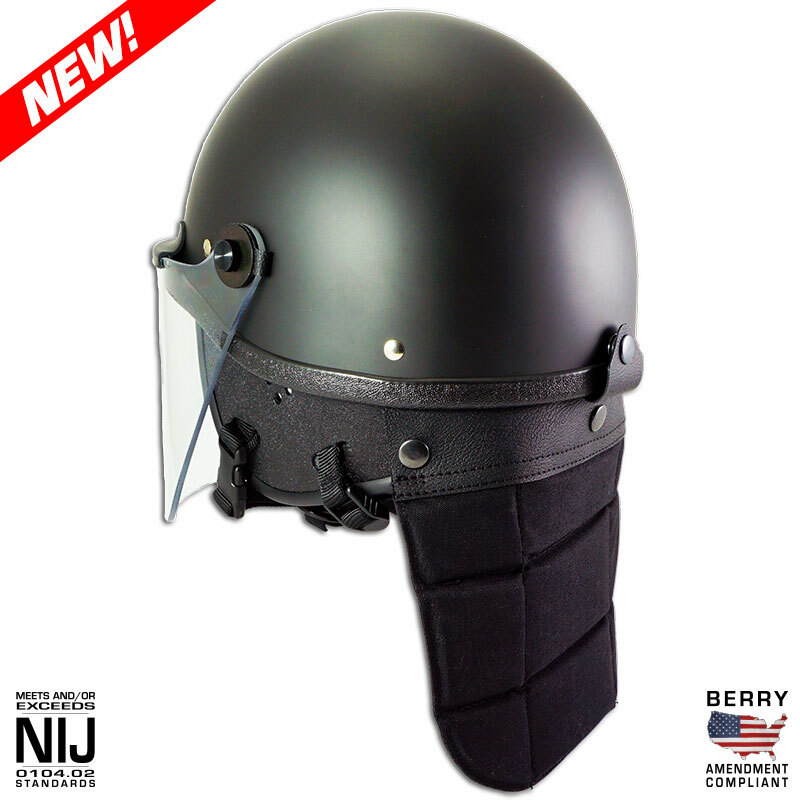 The design of the new American-made riot helmet includes: a uni-directional, advanced composite fiberglass outer helmet shell that maximizes strength while minimizing weight, an integral molded visor and threaded tric nuts for attaching a polycarbonate riot face shield, dull/matte durable Polane paint, and a tough molded metal core that creates a scuff-proof edge design. As for the inside of the American-made police helmet, the S1621 is constructed with an inner impact absorbing liner that consist of semi-resilient energy absorbing polyurethane foam, perforated removable cushion pads built with air ventilation in mind, and a retention system which is comprised of a chin strap and secondary nape strap for additional helmet stability. Like all Seer riot helmets, the S1621 comes with a 3mm high-impact polycarbonate face shield that can flip 90 degrees and adapt to most gas masks. "Our team has been proudly designing, manufacturing, and distributing American riot helmets for over 4-decades, working collaboratively to source all of our raw materials from our local American communities," said Mr. Smith. "We are proud to support law enforcement officers from coast to coast, providing them with the materials they need to be safe and effective on the job. The New Seer S1621 riot helmet achieves this goal." The Seer S1621 is available in three individual outer shell sizes: small/medium, large, and extra-large, fitting head sizes that range from 6 5/8" to 8 3/8". 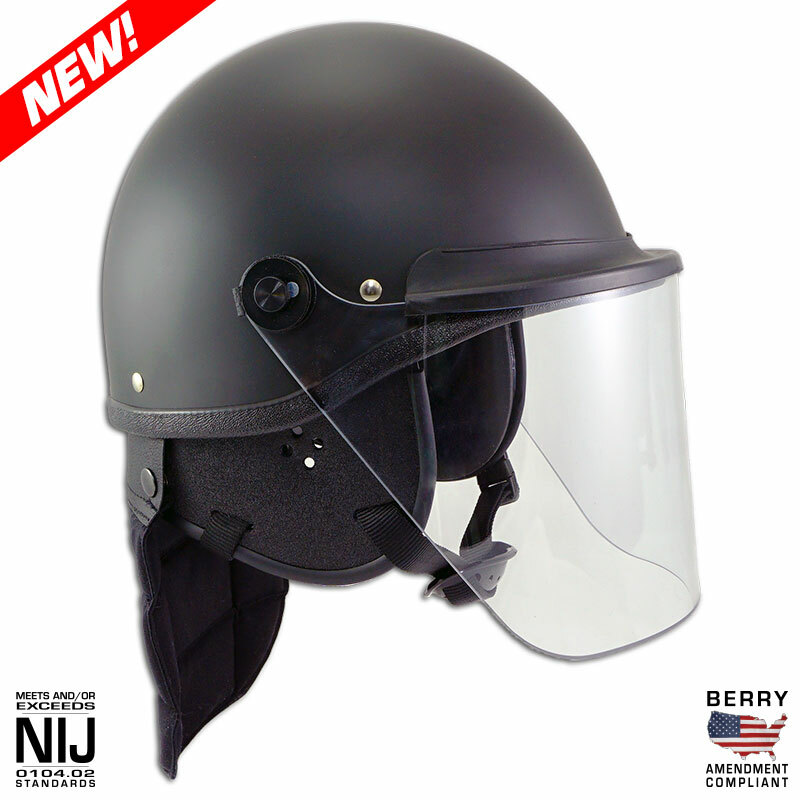 Additionally, the American-made police riot helmet exceeds the National Institute of Justice (NIJ) 0104.02 riot helmet standards. Super Seer comes with over 50-years of manufacturing experience, taking pride in creating every helmet by hand. Completely made in the USA from raw materials, Super Seer is proud to support the USA through the operation and management of their business. For more information regarding the new Seer S1621 riot helmet, please visit: https://superseer.com/blog/18642/Introducing-the-All-New-Seer-S1621-Riot-Helmet.